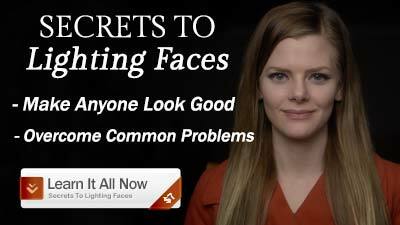 A simple yet powerful lighting technique anyone can master in under a minute. Life on set can be stressful and hectic no matter what size production you are working on. But did you know there are 5 simple things that you can do to get yourself more work, prevent mistakes, and make the post production process easier for you- or for the post team who handles your footage? 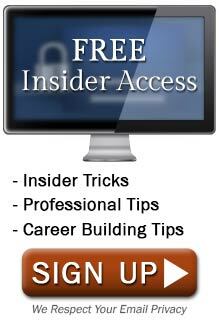 The 5 tips I’m about to share- will help you to set yourself apart as a professional. !! Want to see the whole video and read the entire article? 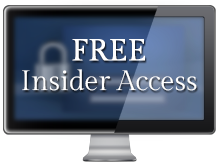 Become a member: Insider Access is FREE !! – A professional shoot has a sound recordist; that person listens to the camera audio. Having the camera operator listen to the audio is like having the caterer operate the boom mic. No sound recordist? Very risky: the chances of the project’s success diminish by about 10-50%. In my opinion, disregarding failure is unprofessional. – When you cut between two different takes of a shot that are framed differently, the movie feels disjointed and out of control, which may or may not work with your story. The framing, like the meaning of the movie, should be intentional (even if you intend for it to feel accidental). The key to reframing during a take is to hide the movement in the movements of the actor/subject, working with the story instead of against it. I appreciate your disagreement / critique. For myself, Options #1 and #2 are not practical. They do not help you build trust with the production, and they also result in lost business. The benefit of Option #3 is that it allows me to build trust with the production, so that when I do really have to put my foot down and say “this is not going to be possible” (like a multi-person interview) they listen. What I am talking about in this video is reframing mid-shot in such away that it ruins the shot. Story and performance are more important than perfection in framing. I’ve seen a lot of people who are starting out reframe mid-shot in a less than elegant way, which becomes distracting. It would have been better to leave it and let the performance “hide” the error, than to call attention to itself. I agree: your advice to listen to the sound is very good advice for those doing one-man-band shoots. In my youth, as a camera assistant, I was taught to murmur “FAST” to myself before turning on the film camera: Focus, Aperture, Shutter (angle), Tachometer (fps). If any of the things on that checklist weren’t proper, I didn’t turn on the switch. These days, if I’m the camera operator and even when working with a professional crew, I think “color sounds FAST” before turning on the switch: is the color temperature correct? Do I see sound (which only tells me if the cable’s connected) or, as you suggest, hear it? Etc. However, I have almost never converted a non-professional company (that disregards quality) into a professional company with good advice. People don’t know what they don’t know and don’t change things that work for them. Low quality works for most media these days, even from companies with brand names. I whole heartedly agree that story & performance are more important than perfection in anything else that I’m doing in camera operating and lighting, etc. Most of our tweaks are only important if the performance and/or story need help. I’ll happily stay stuck a poorly framed shot if the performance doesn’t motivate a correction and is otherwise compelling. That’s the take that they’ll use, anyway. That is a great point about converting a non-professional company- it is tough to do, no argument there. Maybe I’ve been lucky with my career – my experience. I have been able to convert a couple of productions by doing what I’ve suggested, and they now scale accordingly. Yep- I love “FAST” I remember that when I was just starting out, which was just when digital began to gain a bigger foot hold. 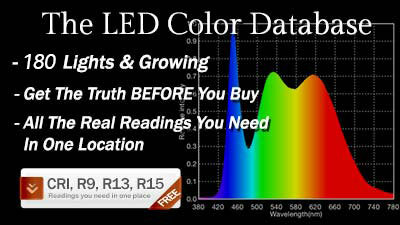 (1998) I like your “Color Sounds FAST” approach- that is a much more elegant way of doing / saying it. My method / thinking has been “SEFF”. Starting with the back of the camera moving forward: Settings (everything menu driven); Exposure (on the lens); Focus; Filtration. Hi I’m just starting out, these tips are great! Great efforts! THANKS! But one thing I want to suggest, hope you don’t mind, is maybe it’s better to retake when you start to talk a little “off” when reading the script. And speed it up a little. For me, I always speed up tutorial videos on YouTube to save time. But Vimeo doesn’t have that, so narration has to be in a perfect speed. Especially for poor people like me who’s considering paying for the membership, I’d really like to see perfect samples to convince myself before investing. If audience missed something they can always go back. As a student, I’d love the instructors to speak reasonably fast, so I’m forced to concentrate more. Thank you for your suggestions. This is one reason why we added the transcript section, so you can read through the lesson as fast as you want. We are planning on adding these free lessons to our YouTube channel too, so you’ll be able to speed it up like you mentioned. Unlock 3 exclusive videos with practical tips from pro filmmakers. How often do you want to be updated about exciting new content? How often do you want to be emailed?